In a few places recently, I’ve had to tick my employment status. Normally I’d just tick the “Home Duties” box and be on my merry way with the rest of the survey, but the last few times there hasn’t been this option. So where did I fit? Well, I’m a student learning about my kids and being a wife, about how to run a household and how to fit healthy eating and new shoes into a single-income budget. I’m also forcing myself to learn learning a bit about kids craft, because I’m pretty sure my conscience is telling me it’s written in the invisible ink section of the mummy’s job description. Since I don’t get a flashy laminated student card to go into my wallet, I don’t think the above experience counts. Perhaps I could make myself a flashy laminated card. I wonder if I’d get half-price movie tickets and public transport? I’ve got a Bachelors degree and have experience in that field, so am qualified as a “professional“, but I’m not currently employed in that field. I’m also pretty professional when it comes to dealing with toddler tantrums now. Executive? Well, I’m an executive chef in our house. I’m also an executive assistant to my husband at times (I’m pretty awesome at filling out forms and making appointments). I make pretty good executive decisions when no one else will. Probably doesn’t cut it though. I’m pretty good at managing stuff, so I suppose you could call me a Manager of sorts. I manage our family budget, I manage nappy changes and dirty clothes. I manage to clean up toilet-training accidents and food that has been spilt on the floor. 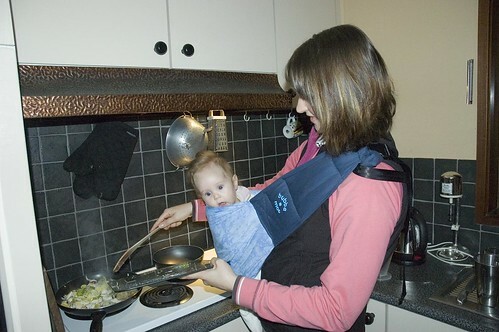 I also mange to cook dinner and hang out clothes with a baby on my hip. Skilled worker? I’m pretty skilled. I can hand-stitch up clothes or broken toys, paint a fence, patch a hole in the wall, complete most household tasks whilst holding a baby, change a light bulb, plant a vegie patch etc. If I could google-it, I’d have the skills to do it. Entrepreneur? Now, this is a possibility. Otherwise, I’m starting to run out of options. For this one I consulted www.dictionary.com as a reference. en·tre·pre·neur Pronounced [ahn-truh-pruh-nur, -noor;] As a noun there are 2 options. Well, there’s plenty of initiative and risk-taking in our household. B1 tries to convince me that he can have an icecream for breakfast. That’s both initiative and risk-taking in my books. I also let B1 eat spaghetti without a bib. Now THERE’s a risk! Since I organise and manage the enterprise, perhaps this is where I fit? Ok, I think I’m stretching it a bit. Surely I was close though, right? I’d say I employ my kiddies to do plenty of labor. I guess at the end of the day though, B1 taking half an hour to vacuum our loungeroom with his little dust-buster hardly constitutes “productive labor” in the grand scheme of things. So I will have to scrub this off the list too.